There are five athletic associations for schools for the Deaf in the United States at the present time. These associations are Central, Eastern, Great Plains, Mason Dixon, and Western. The Eastern Schools were the first to be organized. In 1927, Fred A. Moore, a teacher at the Old New Jersey School for the Deaf, hosted a basketball tournament among them. Ten schools participated: Kendall, New York (Fanwood), Pennsylvania, American, New Jersey, St. Joseph’s, Lexington, Western Pennsylvania, Virginia, and Maryland. NJSD was the first tournament champion. Six tournaments followed but they were not sponsored by any special group. 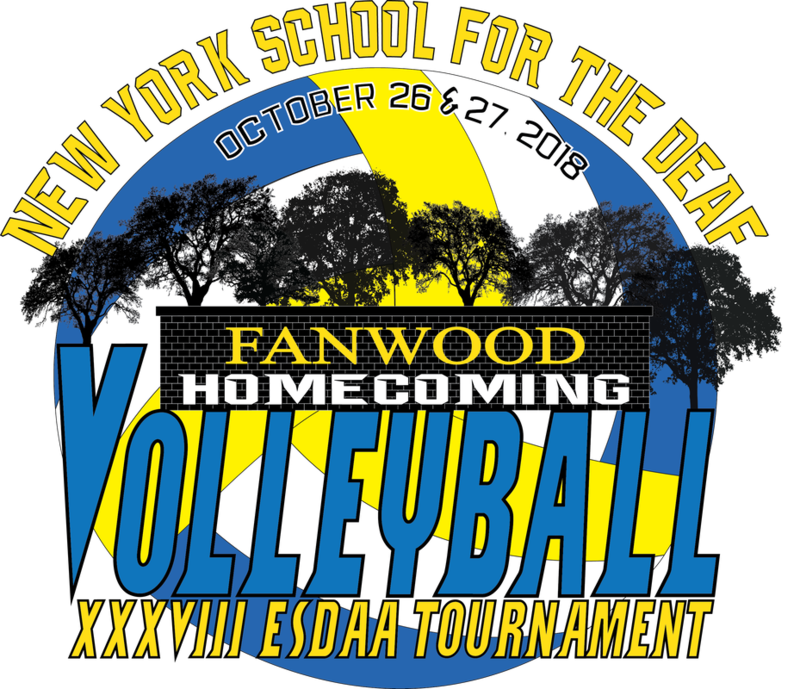 George (Billy) Harlow, Athletic Director at the Pennsylvania School for the Deaf, suggested that an organization be started to sponsor these tournaments. This organization was called the Eastern Schools for the Deaf Athletic Association – ESDAA. The first tournament sponsored by the ESDAA was held at St. Joseph’s School for the Deaf in 1934. In 1961, the ESDAA Boys' Basketball Teams were split into two divisions, and, in 1994, it was modified into three divisions based on student population. In 2009, the teams regrouped back into 2 divisions. Cheerleaders were first invited to join the Boys’ Basketball Tournament in 1966 by Charles M. Jochem of MKSD. They competed informally until 1980 when, at Saint Mary’s in Buffalo, the Cheerleading Tournament really began to take shape and became popular events in both Division I and II. Currently, however, only Division I has a Cheerleading Competition. The Girls’ Basketball Tournament was started by Paul Barr at the Maryland School for the Deaf in 1977. This competition has grown in both scope and participation so that two divisions now exist. Girls’ Volleyball has also grown since the first tournament was hosted by Lexington in 1981 and is now comprised of two divisions. The ESDAA also supports tournaments in Soccer and Wrestling. It is at the Track and Field Championships, however, that the true essence of sportsman ship and camaraderie upon which the ESDAA has been built is exemplified. Started in Maryland for the Boys in 1964 and for the Girls at Gallaudet in 1978, all ESDAA members can come together to compete at the same time and place for the single ESDAA Track and Field crown.